People often talk about the movies or TV shows that others can’t believe they have never seen. For example, when my wife and I started dating I was shocked that she had never seen Animal House or Caddyshack (this was quickly amended). The movie that sticks out on my list is probably Titanic, although that is completely intentional, I have no desire to watch the movie and have actively avoided seeing it. Beer geeks can have similar holes in the lists of beers they’ve tried, especially when it comes to breweries that constantly rotate their releases and make it harder to track down a specific beer. Until recently the biggest “hole” in my local beer consumption was probably Green by Tree House Brewing Company, I’ve heard many people sing it’s praises but I’d never had a chance to try it. My trips to Tree House aren’t overly frequent, and they are usually planned in advance so I have no idea what will be available in a given trip, and I’d never been there when Green was available. Fortunately my buddy Mikey made the trek out to Charlton a couple weeks ago and took an order for me as well, which included a number of cans of Green. Tree House Green is brewed with a mixture of Australian and American hops and is available on a rotating basis on draft and in 16 oz cans. Tree House Green pours murky yellow with a solid white head. The scent is all hops, loads of tropical fruit mixed with a little floral aroma. The flavor is also very hop forward, notes of guava, melon, tangerine and cut grass along with a very mild but noticeable bitter bite. The hops are balanced by a solid malt backbone, hints of white bread and crackers. Green is medium bodied and drinks very easy but packs a little punch at 7.5% ABV. The finish is crisp with plenty of lingering hop flavor. This is another stellar NEIPA from Tree House, big flavors but still precise. Now that I’ve finally tried Green it won’t be a long break until I am seeking out more! 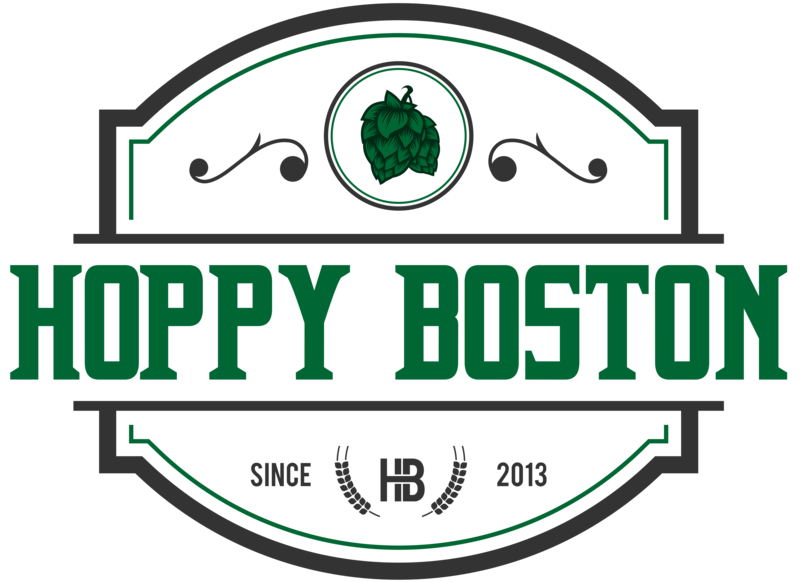 Hoppy Boston score: 4.75/5.